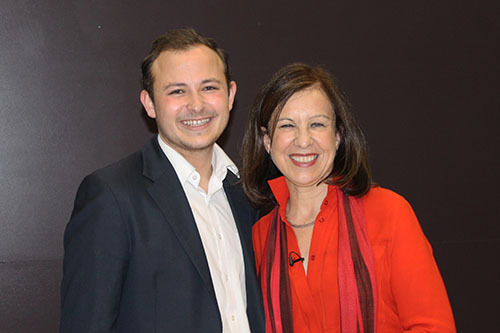 Journalists must fight and become “ever fitter and faster” to keep pace with automated reporting, according to the Chief International Correspondent at BBC News, Lyse Doucet. The award-winning journalist was speaking at the James Cameron Memorial Lecture, which is held annually at City, University of London. Doucet, the latest high-profile figure to deliver the lecture, discussed the ways in which technology is changing and threatening journalism. 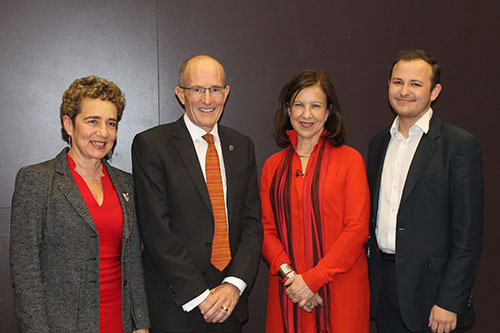 The event – which is held in memory of the iconic foreign correspondent James Cameron – also saw recent City journalism graduate Kaine Pieri awarded the Eric Robbins Prize. The journalist, who was the recipient of the James Cameron Memorial Award in 2013, stressed that the spread of fake news and the loss of faith in traditional media was “the battle of our time”, which involved the "powerful player" of technology. Doucet encouraged journalists to embrace technology’s advantages, but urged them to remember their own strengths, explaining automation could not cover all of the five core “Ws” of journalism: who, what, when, where and why. “For now, it is that ‘why’ which separates us from machines,” she told an audience of journalists, City staff, alumni, students, and members of the public. The Eric Robbins Prize is awarded in memory of the correspondent for Time who was expelled from Rhodesia (now Zimbabwe) in 1966 when it was under white (minority) rule. From 2017, the award will be presented at the Cameron lecture to a recent City journalism graduate who has, during their time at the university, shown the potential to be a great journalist of the future. Kaine Pieri received the prize for his coverage of the London Bridge attack, during which he showed admirable professionalism to film material which was subsequently used around the world, and also gave numerous eyewitness interviews. Lyse Doucet congratulated Kaine and compared aspects of his work to a suicide bombing story she reported on in Jerusalem earlier in her career. “I was in that kind of right place, right time – or wrong place, wrong time – that Kaine recently found himself in,” she said. Best known recently for her outstanding reporting of the conflict in Syria, Lyse Doucet has been reporting on major stories of our time for the past 30 years. Before joining the BBC's team of presenters in 1999, Lyse spent 15 years as a BBC foreign correspondent with postings in Jerusalem, Amman, Tehran, Islamabad, Kabul and Abidjan. Concluding her speech, Doucet said: “In this relationship between humans and machine, journalists must become ever fitter and faster, as the machine tries to race ahead. The James Cameron Memorial Lecture has previously been delivered by a distinguished group of speakers including Ben Bradlee, Michael Grade, Alan Rusbridger, Tony Benn, Greg Dyke, Sir Max Hastings and more recently Christine Ockrent, Jeremy Bowen, Robert Peston, Gary Younge and Gideon Rachman.